High-grade materials like steel, stainless steel or aluminum for pressures up to 1500 bar (21750 PSI), with optional pneumatic, electric or hydraulic actuator. 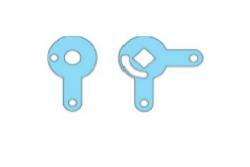 Also available with position indicator, limit switch, proximity switch or locking device. Nominal diameters from 4 to 65. Nominal pressures up to 500 bar (7250 PSI) with optional pneumatic, electric or hydraulic actuator also available with position indicator, limit switch, proximity switch or locking device. Shut-off blocks with integrated bypass and safety-lock. Sandwich plates and accumulator safety blocks with integrated 2-way ball valve type RSA or with integrated 3-way ball valve type RSK or with integrated 3-way ball valve type RSM. 2-way ball valves with test line connections (TK2). 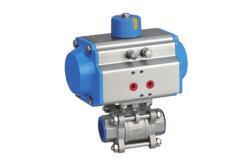 Multi-way ball valves with floating ball for pressure gauges (TK4). Directional ball valves for differential pressure transducers (TK5-TK7). Mounting kits for limit switches, Mounting kits for proximity switches, Locking devices, Actuators, Detents, Handles and more. With threaded connector - Steel DN 4 - DN 50, Full flow, no reduction. Custom orders on request. All dimensions subject to change without notice. DN 4 - DN 50. Body and Spindle of steel, Rotary knob of aluminum. PN: 350 bar. 5000 PSI. Opening pressure: 0,5 bar. Custom orders on request. Behringer Provides a line of Actuators for Pneumatic and Electrical applications to be drilled, tapped and mounted on requested valves. 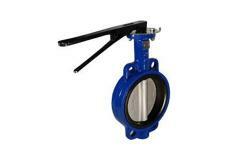 Behringer offers Butterfly Valves in Wafer or Lug Style.